There is nothing quite like a weekend morning, your family is just waking up and you have prepared them a delicious breakfast that is sure to get you lots of compliments and maybe even some help cleaning up after they are done. 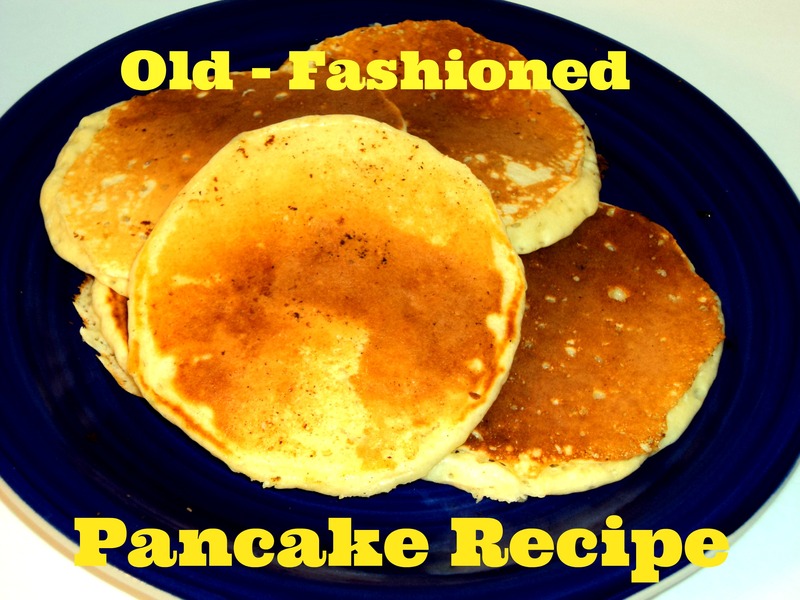 Well the last part may not happen but at least you will get everyone’s day started off right with this delicious Old-Fashioned Pancake Recipe. When I make pancakes, waffles, or anything else I think will freeze and reheat well, I always make extra that way my weekday mornings before school go a little bit easier. 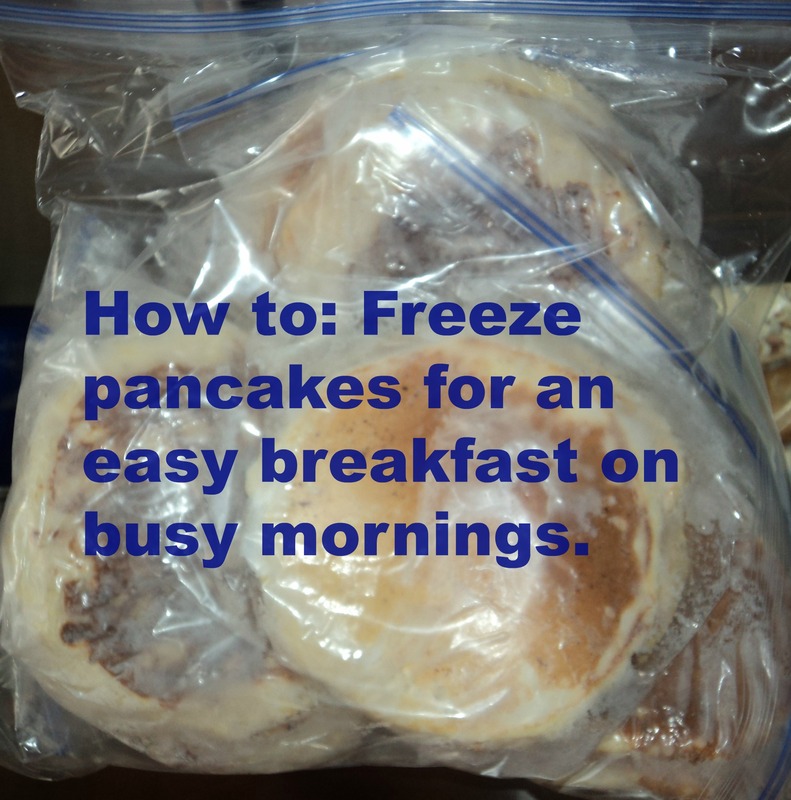 I zip-loc each serving which is about 3 pancakes into a sandwich bag and then put each sandwich bag into a freezer bag. I can just pop them in the microwave for about 1 – 1 & 1/2 minutes and breakfast is served! I double this recipe and it feeds my family a of 3 a large breakfast and gives me about a week’s worth of breakfast for my daughter to eat before school. I mix all of the ingredients in a mixer until all ingredients are incorporated. You can mix by hand if you want to burn off some of those calories before eating, of course. I add in more flour if they are a little too runny and less buttermilk if they are too runny, they are different everytime depending on how close I pay attention to each addition of ingredients! Next, a trick my beautiful Aunt Sherry taught me is to make the perfect rounded pancake every time, just use a measuring cup with a spout on it. You could also use a cup or anything that has a pouring spout, it is ridiculously easy to make your pancakes look even better with this neat trick. I cook my pancakes on a griddle heated at about 375 degrees and turn over when they bubble. I usually add a little butter before taking them off the griddle and this allows it to melt almost instantly. 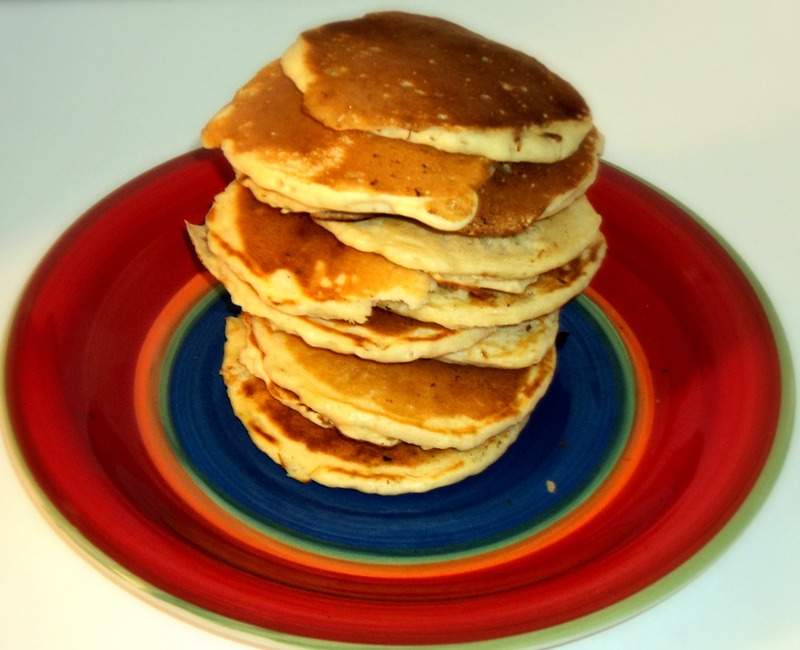 Serve these to your family this weekend and let me know what you thought of this Old-Fashioned Pancake Recipe. This post may contain affiliate links, any suggestions or opinions are completely my own.